Dr.Capture can record the system sound into a video. However, If the settings of audio device is configured improperly or If the sound card driver is not installed properly, sound recording might be impossible. If the sound is not recorded, you can solve the problem with following ways. The settings for audio recording are slightly different depending on the version of operating systems or the manufacturer of sound card. The “Stereo Mix” function is required to record sound in Windows XP. Place the mouse cursor on the speaker icon of the tray icon area and click mouse right button. Choose ‘Open Volume Control’ in the pop-up menu. Select the device that supports ‘Recording’ and ‘Stereo Mix’ in ‘Mixer Device’ list. Select ‘Recording’ and ‘Stereo Mix’. Press ‘OK’ button of the properties window. Check the ‘Select’ checkbox of ‘Stereo Mix’ item. Please note that you might not be able to hear any sound when you play it back if you set the volume of ‘Stereo Mix’ too low. Place the mouse cursor on the speaker icon of the tray icon area and click mouse right button. Choose ‘Adjust Audio Properties’ in the pop-up menu. Click ‘Audio’ tab and select ‘Default Device’ of ‘Sound Recording’ as the same device which was selected as ‘Mixer Device’ above. Press the ‘Apply’ button and press ‘OK’ to finish the setting. If you can’t find the ‘Stereo Mix’, you can select the device which supports followings instead of ‘Stereo Mix’. If you can’t solve the sound problem with the above explanations, we recommend to reinstall the device driver of sound card with the manufacturer’s driver, and try the above instructions again. If ‘Stereo Mix’ still isn’t supported after sound card driver update, please retry sound recording using the No.4 guidelines below. If you want to record sound in the operating systems since Vista, follow settings are required. Place the mouse cursor on the speaker icon of the tray icon area and click mouse right button. Choose ‘Recording devices’ in the pop-up menu. If you can’t see it, click right button on list box and select ‘Show Disabled Devices’ and ‘Show Disconnected Devices’. Click right button on ‘Stereo Mix’ and Select ‘Enable’. If ‘Stereo Mix’ disabled button is selected, uncheck it. Click ‘Listen’ tab and uncheck ‘Listen to this device’ and press ‘Apply’ button. If you can’t solve the sound problem with the above explanations, we recommend following additional setups. Select ‘Advanced’ tab of ‘Stereo Mix’. Select ‘2ch, 16-bit, 44100Hz’ or ‘2ch, 16-bit, 48000Hz’ in the ‘Default Format’. Press ‘OK’ button to finish the setting. Choose ‘Playback devices’ in the pop-up menu. Click right button on ‘Speakers’ and Select ‘Enable’. Press ‘Apply’ and ‘OK’ button to finish the setting. Select the Hz number of ‘Default Format’ same as the Hz number of ‘Default Format’ of Stereo Mix’s Advanced tab. Setup ‘Stereo Mix’ first using above guidelines. After ‘Stereo Mix’ setup, setup microphone using this page. Click ‘Stereo Mix’ and press ‘Set Default’ button. Double click ‘Microphone’ and click ‘Listen’ tab. Select ‘Listen to this device’ and press ‘Apply’ and ‘OK’ buttons. After setup, check microphone and computer sound recording. If you don’t want to record microphone sound, disable ‘Microphone’. Some of sound cards doesn’t support ‘Stereo Mix’. In this case, system audio recording is impossible in principle. However, if your sound card supports microphone or line in recording, you can record system sound using the audio cable which has 3.5mm audio connector on each end. 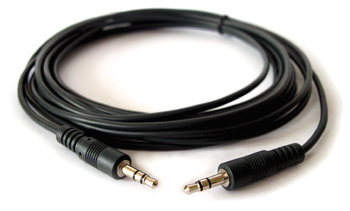 There are two ways to record audio using this cable. Plug an end of the cable into ‘Line Out’ (green) and the other end into ‘Mic’ (Red). Select ‘Mic Volume’ in the ‘Recording Control’ window. Adjust the volume properly. Please note that If you set the volume too high, it may cause too much noise. Plug an end of the cable into ‘Line Out’ (green) and the other end into ‘Line In’ (Blue). Select ‘Line Volume’ in the ‘Recording Control’ window. If the volume slider bar is disabled, unfortunately Dr.Capture can’t record sound with above methods. Place the mouse cursor on the speaker icon of the tray icon area and click mouse right button. Choose ‘Recording Devices’ in the pop-up menu. Click ‘Microphone’ and press ‘Set Default’ button. If you can’t see ‘Microphone’, click right button on list box and select ‘Show Disabled Devices’ and ‘Show Disconnected Devices’. Click ‘Listen’ tab and uncheck ‘Listen to this device’. Click ‘Levels’ tab and adjust volume. Please note that If you set the volume too high, it may cause too much noise. If ‘Microphone’ disabled button is selected, uncheck it. Press ‘Apply’ and ‘OK’ button. Click ‘Line In’ and press ‘Set Default’ button. If you can’t see ‘Line In’, click right button on list box and select ‘Show Disabled Devices’ and ‘Show Disconnected Devices’. If ‘Line In’ disabled button is selected, uncheck it. If ‘Microphone’ or ‘Line input’ are doesn’t appear in spite of selection of ‘Show Disabled Devices’ and ‘Show Disconnected Devices’, unfortunately Dr.Capture can’t record sound with above methods.